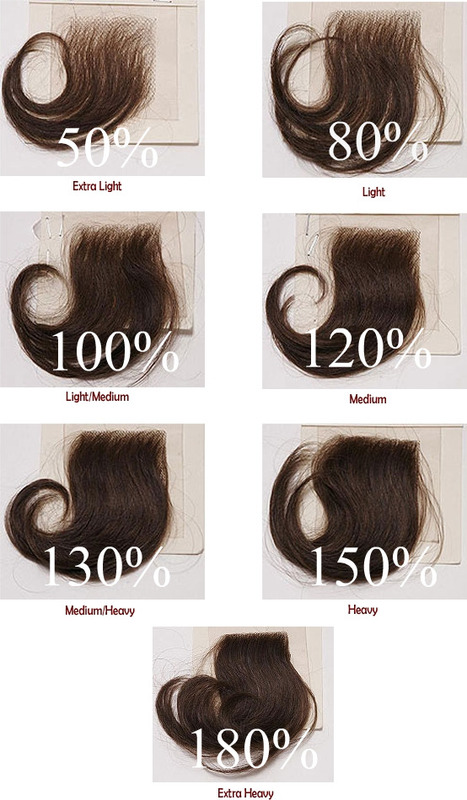 Density refers to how thin or thick your hair is. The standard and common choice is 120% with medium density. If you want thicker or thinner, you can choose custom made.